If You Love Me So Much, Why Do I Hurt So Bad? This is a bonus podcast. Normally, each week I upload the latest in our Jesus in High Definition podcast series. But this past weekend, I took a break from my beloved little flock at The Safe Haven, where the Jesus in HD podcast is recorded, in order to speak at a High School Winter Camp in CA. 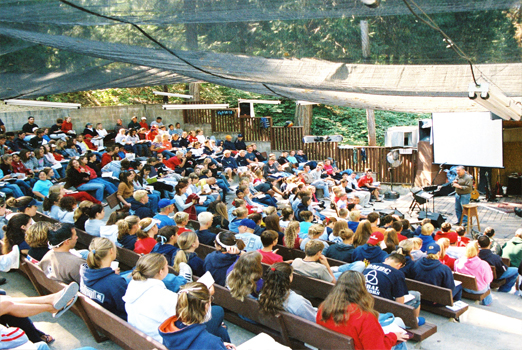 Hartland Christian Camp, to be exact. One of my all-time absolute favorite places on this planet. 1. Can I get my dog back? 2. Why weren’t You there for me? 3. Why are You so mean? So this message that I gave on the Monday evening of that week-long camp is my attempt to answer those questions. What would you say to a group of junior higher/middle school students who are basically asking God, Why is my life so painful? Or, to put it another way, If You are so loving, and if You are so powerful, why do You make me hurt so bad? This is my best attempt at the answer. You can hear it by clicking here.